I have written more about the question, “are vaccines and autism linked?,” than just about any other topic other than the cancer preventing HPV vaccine, Gardasil. Unless you want to ignore the overwhelming evidence, the scientific consensus is pretty clear – vaccines are not linked to autism. In my article, Vaccines and autism – science says they are unrelated, I list out over 125 published, peer-reviewed articles (as of today) that basically provide us with some of the overwhelming evidence that debunks the myth that vaccines cause autism. But that’s a long list that takes quite a bit of time to absorb. I think it’s more important to focus on the handful of the best studies that provide the best evidence. I hope this kind of resource helps you refute arguments from patients, friends, and family members who might try to claim that “we don’t vaccinate because of the autism risk.” I can’t guarantee that a few important studies will convince anyone, but maybe it will help with a fence sitter. I’m relying upon Dr. Peter Hotez’s article, The “Why Vaccines Don’t Cause Autism” Papers, published in PLOS Blogs to choose the best of the best papers. I’m going to add a couple of more categories, because they discredit some of the arguments that try to state that the answer to the question, are vaccines and autism linked, is yes. So let’s dive into this scientific research. So, are vaccines and autism linked? Jain A, Marshall J, Buikema A, Bancroft T, Kelly JP, Newschaffer CJ. Autism Occurrence by MMR Vaccine Status Among US Children With Older Siblings With and Without Autism. JAMA. 2015 Apr 21;313(15):1534-1540. doi: 10.1001/jama.2015.3077. PubMed PMID: 25898051. This retrospective, cohort study of 95,7272 children examined the risk of autism spectrum disorder (ASD) between groups who had been vaccinated with the MMR vaccine and those who had not. The study also looked at children who had older siblings with ASD, which is a risk factor for children, comparing vaccinated and unvaccinated groups In this large sample of privately insured children with older siblings, receipt of the MMR vaccine was not associated with increased risk of ASD, regardless of whether older siblings had ASD. These findings indicate no harmful association between MMR vaccine receipt and ASD even among children already at higher risk for ASD. Fombonne E, Zakarian R, Bennett A, Meng L, McLean-Heywood D. Pervasive developmental disorders in Montreal, Quebec, Canada: prevalence and links with immunizations. Pediatrics. 2006 Jul;118(1):e139-50. PubMed PMID: 16818529. Study of thimerosal and measles, mumps and rubella (MMR) vaccine uptake in 28,000 Canadian children born between 1987 and 1998, of whom 180 were identified with a pervasive developmental disorder. The prevalence of pervasive developmental disorder in Montreal was high, increasing in recent birth cohorts as found in most countries. Factors accounting for the increase include a broadening of diagnostic concepts and criteria, increased awareness and, therefore, better identification of children with pervasive developmental disorders in communities and epidemiologic surveys, and improved access to services. The findings ruled out an association between pervasive developmental disorder and either high levels of ethylmercury exposure comparable with those experienced in the United States in the 1990s or 1- or 2-dose measles-mumps-rubella vaccinations. Peltola H, Patja A, Leinikki P, Valle M, Davidkin I, Paunio M. No evidence for measles, mumps, and rubella vaccine-associated inflammatory bowel disease or autism in a 14-year prospective study. Lancet. 1998 May 2;351(9112):1327-8. PubMed PMID: 9643797. Prospective study of 3 million adverse events in temporal relation to MMR vaccine. A form was filled and posted to the data collectors, followed by another form with further information 2-3 weeks later. Researchers traced subjects who developed gastrointestinal symptoms or signs lasting 24 hours or more at any time after MMR vaccination (apart from within the first hour). Researchers also checked hospital and health center records or interviewed the local public-health nurses. Over a decade’s effort to detect all severe adverse events associated with MMR vaccine could find no data supporting the hypothesis that it would cause pervasive developmental disorder (such as ASD) or inflammatory bowel disease. Taylor LE, Swerdfeger AL, Eslick GD. Vaccines are not associated with autism: An evidence-based meta-analysis of case-control and cohort studies. Vaccine. 2014 Jun 17;32(29):3623-9. doi: 10.1016/j.vaccine.2014.04.085. Epub 2014 May 9. PubMed PMID: 24814559. A meta analysis that included five cohort studies involving 1,256,407 children, and five case-control studies involving 9,920 children. It examined the possibility of links between vaccination and autism, MMR vaccine and autism, and thimerosal and autism. (A more detailed analysis of this article can be found here.) Findings of this meta-analysis suggest that vaccinations are not associated with the development of autism or autism spectrum disorder. Furthermore, the components of the vaccines (thimerosal or mercury) or multiple vaccines (MMR) are not associated with the development of autism or autism spectrum disorder. Uchiyama T, Kurosawa M, Inaba Y. MMR-vaccine and regression in autism spectrum disorders: negative results presented from Japan. J Autism Dev Disord. 2007 Feb;37(2):210-7. PubMed PMID: 16865547. Study of 904 patients with Autism Spectrum Disorders (ASD). During the period of measles, mumps and rubella vaccine (MMR) usage, no significant difference was found in the incidence of regression between MMR-vaccinated children and non-vaccinated children. Among the proportion and incidence of regression across the three MMR- program-related periods (before, during and after MMR usage), no significant difference was found between those who had received MMR and those who had not. Moreover, the incidence of regression did not change significantly across the three periods. The data do not support an association between MMR and autism. Uno Y, Uchiyama T, Kurosawa M, Aleksic B, Ozaki N. The combined measles, mumps, and rubella vaccines and the total number of vaccines are not associated with development of autism spectrum disorder: the first case-control study in Asia. Vaccine. 2012 Jun 13;30(28):4292-8. doi: 10.1016/j.vaccine.2012.01.093. Epub 2012 Apr 20. PubMed PMID: 22521285. The vaccination histories for 189 children with ASD was compared to the histories of 224 controls to determine the relationship between MMR vaccination and ASD. In this study, there were not any convincing evidences that MMR vaccination and increasing the number of vaccine injections were associated with an increased risk of ASD in a genetically homogeneous population. Therefore, these findings indicate that there is no basis for avoiding vaccination out of concern for ASD. Uno Y, Uchiyama T, Kurosawa M, Aleksic B, Ozaki N. Early exposure to the combined measles-mumps-rubella vaccine and thimerosal-containing vaccines and risk of autism spectrum disorder. Vaccine. 2015 May 15;33(21):2511-6. doi: 10.1016/j.vaccine.2014.12.036. PubMed PMID: 25562790. The vaccination histories for 189 children with ASD was compared to the histories of 224 controls to determine the relationship between MMR vaccination and ASD. This was a re-evaluation of the data in the previous article No convincing evidence was found in this study that MMR vaccination and increasing thimerosal dose were associated with an increased risk of ASD onset. Zerbo O, Qian Y, Yoshida C, Fireman BH, Klein NP, Croen LA. Association Between Influenza Infection and Vaccination During Pregnancy and Risk of Autism Spectrum Disorder. JAMA Pediatr. 2017 Jan 2;171(1):e163609. doi: 10.1001/jamapediatrics.2016.3609. PubMed PMID: 27893896. This cohort study included 196 929 children born at Kaiser Permanente Northern California from January 1, 2000 to December 31, 2010. The researchers determined the risk of ASD in mothers who either were vaccinated against or who contracted the flu. There was no association between maternal influenza infection anytime during pregnancy and increased ASD risk. There was a suggestion of increased ASD risk among children whose mothers received an influenza vaccination in their first trimester, but the association was not statistically significant after adjusting for multiple comparisons, indicating that the finding could be due to chance. These findings do not call for changes in vaccine policy or practice, but do suggest the need for additional studies on maternal influenza vaccination and autism. Doja A, Roberts W. Immunizations and autism: a review of the literature. Can J Neurol Sci. 2006 Nov;33(4):341-6. Review. PubMed PMID: 17168158. Literature review found very few studies supporting an association between vaccines and autism, with the overwhelming majority showing no causal association between the measles, mumps and rubella (MMR) vaccine and autism. The vaccine preservative thimerosal has alternatively been hypothesized to have a possible causal role in autism. 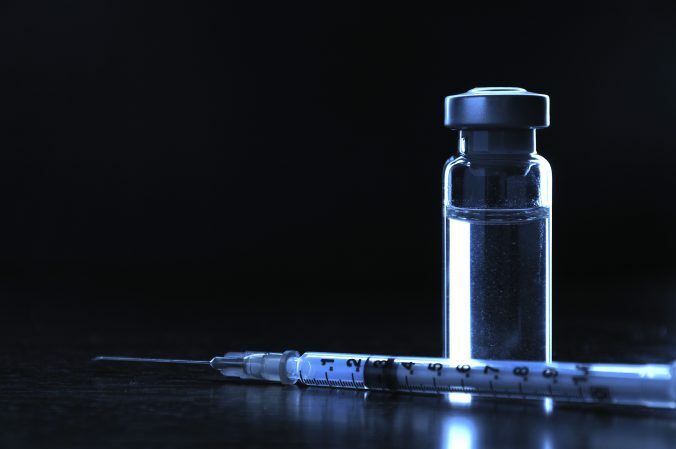 No convincing evidence was found to support an association between the vaccine preservative thimerosal and autism, nor for the use of chelation therapy in autism. Gadad BS, Lia W, Yazdani U, Grady S, Johnson T, Hammond J, Gunn G, Curtis B, English C, Yutuc V, Ferrier C, Sackett GP, Marti N, Young K, Lewiston L, German DC. Administration of thimerosal-containing vaccines to infant rhesus macaques does not result in autism-like behavior or neuropathology. PNAS; Sept 2015. doi: 10.1073/pnas.1500968112. Infant rhesus macaques received thimerosal-containing vaccines (TCVs) following the recommended pediatric vaccine schedules from the 1990s and 2008. The researchers examined behavior, and neuropathology in three brain regions found to exhibit neuropathology in postmortem ASD brains. No neuronal cellular or protein changes in the cerebellum, hippocampus, or amygdala were observed in animals following the 1990s or 2008 vaccine schedules. Analysis of social behavior in juvenile animals indicated that there were no significant differences in negative behaviors between animals in the control and experimental groups. These data indicate that administration of TCVs and/or the MMR vaccine to rhesus macaques does not result in neuropathological abnormalities, or aberrant behaviors, like those observed in ASD. Hviid A, Stellfeld M, Wohlfahrt J, Melbye M. Association between thimerosal-containing vaccine and autism. JAMA. 2003 Oct 1;290(13):1763-6. PubMed PMID: 14519711. Study of 467,000 children born in Denmark between 1990 and 1996 compared children who were vaccinated with a thimerosal- containing vaccine to children who received a thimerosal-free formulation of the same vaccine. The risk of autism and other autism spectrum disorders did not differ significantly between children vaccinated with thimerosal-containing vaccine and children vaccinated with thimerosal-free vaccine. The results do not support a causal relationship between childhood vaccination with thimerosal-containing vaccines and development of autistic-spectrum disorders. Price CS, Thompson WW, Goodson B, Weintraub ES, Croen LA, Hinrichsen VL, Marcy M, Robertson A, Eriksen E, Lewis E, Bernal P, Shay D, Davis RL, DeStefano F. Prenatal and infant exposure to thimerosal from vaccines and immunoglobulins and risk of autism. Pediatrics. 2010 Oct;126(4):656-64. doi: 10.1542/peds.2010-0309. Epub 2010 Sep 13. PubMed PMID: 20837594. Researchers reviewed managed care organization records and conducted interviews with the parents of 256 children who were verified to have ASD according to a standardized personal evaluation. Children with ASD were further categorized as having autistic disorder or ASD with regression. Another 752 children without autism, matched to the ASD children by birth year, gender and managed care organization, were also studied. For none of the autism outcomes was prenatal or early life receipt of thimerosal-containing vaccines and immunoglobulins significantly greater among children with ASD than among children without ASD. These results add to the evidence that thimerosal-containing vaccines do not increase the risk of autism. Schechter R, Grether JK. Continuing increases in autism reported to California’s developmental services system: mercury in retrograde.Arch Gen Psychiatry. 2008 Jan;65(1):19-24. doi: 10.1001/archgenpsychiatry.2007.1. PubMed PMID: 18180424. The California DDS data do not show any recent decrease in autism in California despite the exclusion of more than trace levels of thimerosal from nearly all childhood vaccines. The data do not support the hypothesis that exposure to thimerosal during childhood is a primary cause of autism. DeStefano F, Price CS, Weintraub ES. Increasing exposure to antibody-stimulating proteins and polysaccharides in vaccines is not associated with risk of autism. J Pediatr. 2013 Aug;163(2):561-7. doi: 10.1016/j.jpeds.2013.02.001. Epub 2013 Mar 30. PubMed PMID: 23545349. This case-control study of more than 1,000 children compared the total exposure of antibody-stimulating proteins and polysaccharides in children with autism spectrum disorder (ASD), autistic disorder (AD), or ASD with regression to the total exposure in children who were not diagnosed with any form of autism. The children included in the study were aged 6- 13 years, but authors studied their exposures from vaccines during the first 2 years of life. Results showed that the odds of developing any of the three forms of autism studied did not rise with increased exposure to antibody-stimulating proteins and polysaccharides. Increasing exposure to antibody-stimulating proteins and polysaccharides in vaccines during the first 2 years of life was not related to the risk of developing an ASD. Smith MJ, Woods CR. On-time vaccine receipt in the first year does not adversely affect neuropsychological outcomes. Pediatrics. 2010 Jun;125(6):1134-41. doi: 10.1542/peds.2009-2489. Epub 2010 May 24. PubMed PMID: 20498176. Timely vaccination during infancy has no adverse effect on neuropsychological outcomes 7 to 10 years later. These data may reassure parents who are concerned that children receive too many vaccines too soon. I’ve made this point before. It is difficult to make a scientific case without plausibility – that is, what scientifically plausible explanation could be offered that would link a vaccine to ASD? This question must be answered, and yes, it can be speculative, before we can even determine if there is a link. Stoner R, Chow ML, Boyle MP, Sunkin SM, Mouton PR, Roy S, Wynshaw-Boris A, Colamarino SA, Lein ES, Courchesne E. Patches of disorganization in the neocortex of children with autism. N Engl J Med. 2014 Mar 27;370(13):1209-19. doi: 10.1056/NEJMoa1307491. PubMed PMID: 24670167; PubMed Central PMCID: PMC4499461. In this small, explorative study, we found focal disruption of cortical laminar architecture in the cortexes of a majority of young children with autism. Our data support a probable dysregulation of layer formation and layer-specific neuronal differentiation at prenatal developmental stages. Such studies, showing profound changes in the reorganization of the brain strongly reinforce the genetic and epigenetic basis of autism. A vaccine simply could not do this, and the data supports this. Deer B. How the case against the MMR vaccine was fixed. BMJ. 2011 Jan 5;342:c5347. doi: 10.1136/bmj.c5347. PubMed PMID: 21209059. British journalist Brian Deer investigates Dr. Andrew Wakefield (the man who initially claimed a link between autism and the MMR vaccine), his practices during the study that was published on this alleged connection, and uncovers truths that lead to the revocation of Dr Wakefield’s medical license and to the retraction of the article he published on the subject. These are some of the most powerful scientific studies that have answered that question. There really is no controversy – vaccines and autism are not linked. It’s not even biologically plausible to link them. Please vaccinate your children. Although no one (at least on the science side) will claim that vaccines are perfect, the benefit to risk equation falls way over on the side of vaccines, because the benefit, preventing deadly diseases far outweighs the small risks of the vaccination. And certainly we’ve shown that vaccines are not related to autism.